Helping to find great scripts worthy of bringing to life needed a clean, creative idea that could run across multiple channels. 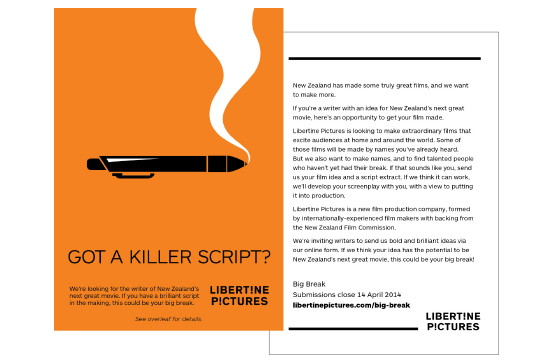 To help find some of New Zealand’s best film script writers, Libertine Pictures wanted to develop a campaign that would reach previously untapped talent through print and digital media. 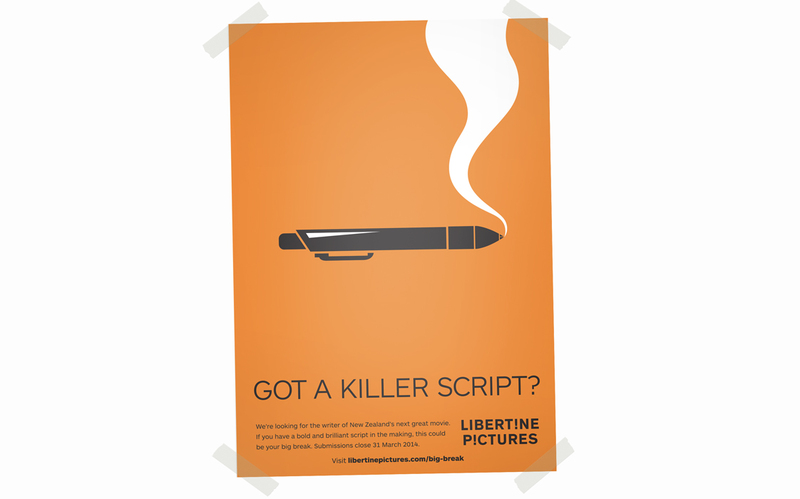 We developed a core idea for the call for scripts and this flowed through all poster, flier and digital advertising media. The whole team at Libertine LOVED the very first concept that Ramp proposed. It delivered precisely to the brief with a freshness and originality and a strong point of view, and with visual impact well beyond our expectations. 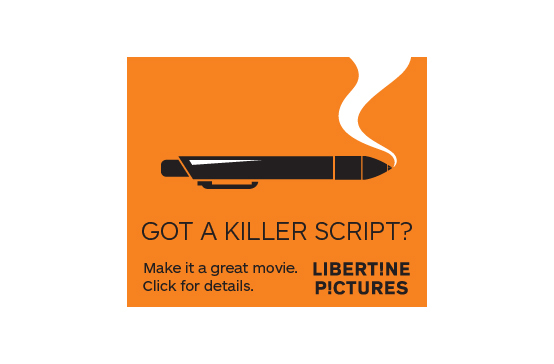 The response to our call for writers and scripts far exceeded our imagining. The initiative also made an impression in the industry, which was a secondary but important objective. We believe that a strong and impactful campaign creative contributed to both of these results. As Libertine coordinator of the Comms on this project, I also appreciated the great client servicing from Ramp. The response to our brief was timely, the response to feedback in new iterations of the creative was thoughtful and on point, and copy edits and preparation of documents were executed efficiently.